This is Banned Books Week, which sounds like just another non-event to provide fodder for the talk shows on CSPAN. But it caught my attention because I recently picked up a John Steinbeck novel at the public library and when I sat down to read it, I saw that someone had taken a black marker and blocked out offensive words. I know that there are some people out there who would like to consider themselves our moral guardians. But I really thought this kind of nitty-gritty, in-the-trenches censorship went out with leisure suits and had been handed over directly to the Texas State Board of Education. Along with some of the press that accompanied Banned Books Week, the American Library Association published a list of the 10 “most challenged” titles of 2009. They included To Kill A Mockingbird, by Harper Lee; and Catcher in the Rye by J.D. Salinger. Both are considered by many among the best American novels. “Each year, the American Library Association’s (ALA) Office for Intellectual Freedom (OIF) receives hundreds of reports on book challenges, which are formal written requests to remove a book from a library or classroom because of an objection to the book’s content,” the ALA said in a news release. It would seem to be common sense not to place a book with “adult” themes in a children’s library section. The problem is that this reason is often used as a sort of blanket excuse to keep books out of the hands of children and teens for other, often political or religious reasons. This issue has been debated since practically the inception of the country. Edgar Allan Poe was banned and so was Nathaniel Hawthorne. 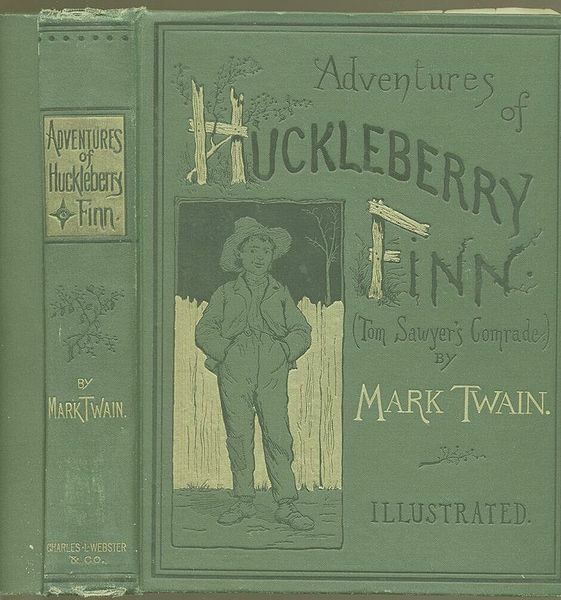 After Huckleberry Finn was published in 1885, there was an immediate debate about whether it should be banned. When Mark Twain heard that libraries refused to stock the book, he was reportedly amused by the controversy and arranged for it to be sold door to door. Huckleberry Finn was banned from the Denver Library in 1902, prompting Twain to write a letter to the editor of the Denver Post. He said: “There’s nobody for me to attack in this matter even with soft and gentle ridicule—and I shouldn’t ever think of using a grown up weapon in this kind of a nursery. Interesting that a century later the same battles are being fought with as much gusto as ever. A bit of a surprise to me but not to Mark Twain, which is only one of the reasons he has earned a permanent and esteemed spot on the country’s library shelves. Watching the polls on Real Clear Politics, it looks like the Republicans are on a fast track to take over the House with an outside chance of capturing the Senate as well. The party did suffer a setback last week in Delaware when Christine “I-dabbled-in-witchcraft” O’Donnell won the GOP nomination. But elsewhere, candidates are looking for a smoother ride and are already debating how they’ll dismantle the health care reform law passed in March. They know they won’t have enough votes in the Senate, even if they take a majority, to override an Obama veto. So, according to today’s Wall Street Journal, they’ll use a “starve the beast” strategy to deny funds for the reform law as we move closer to full implementation in 2014. Sounds like a fun couple of years coming up, hey? But the real question is, what will they put in place of health care reform? After several years in the minority, Republicans are relearning the hard political fact that it’s a lot easier to be a party out of power, scoffing at everything the majority pushes through, than it is to come up with positive, practical ideas of your own. Sure, this is difficult for both parties. Democrats, too, have to please their constituency without alienating the large corporate donors that that actually set the agenda for them in Washington. But Republicans have the additional burden of also placating Glenn Beck, Rush Limbaugh, Sean Hannity and Bill O’Reilly. I have to admit that I didn’t like the health care reform deal passed in March. Requiring everyone to buy health insurance is a spineless way to solve the problem of the uninsured while kowtowing to the insurance industry. But the reform bill does have some decent things in it, and I think people are coming around to the idea that it needs to be thoughtfully repaired, not hauled to the scrap heap by a bunch of political hot heads. The alternative plan released last year by House Minority Leader John Boehner isn’t a total train wreck. It would keep young post-college people on their parents’ health care plan until the age of 25, similar to the current law. It prohibits cancellation of a policy unless a person has committed fraud. It pushes liability reform, which I think is a good idea that the Democrats have always waived off. But watch out, because one of the GOP’s golden boys, Rep. Paul Ryan of Wisconsin, is in love with the idea of vouchers, not only for health care insurance purchases but also for the purchase of Medicaid and even Medicare coverage. In other words, the feds offer you a couple of thousand dollars, usually in the form of a tax credit, to go out and buy your own policy on the open market. So if you have a family of three, and a policy costs $15,000 a year, here’s two grand to get you started. Good luck. The idea gets scant attention, but if you want to control costs, you need to increase the supply of health care providers. That’s essential for a system that is theoretically based on competition. Naturally, increasing the number of people who need care (the aging population) while holding the supply of caregivers steady is going to result in higher prices. So, what to do? Two things, both ideas I’ve written about in the past. One, encourage the proliferation of masters-level medical providers for routine primary care work like colds, infections, sprained ankles and basic preventive services. Need your blood pressure checked? Go to Walgreen’s. Cost: $0. Second, cover everyone under a catastrophic universal policy funded by the federal government, probably under the Medicare umbrella. So that if you’re 35, 45, 60, or whatever age, a major illness doesn’t throw you and your family into bankruptcy. So that if your kid gets sick, you don’t have to sell the house and move in with your mother-in-law. 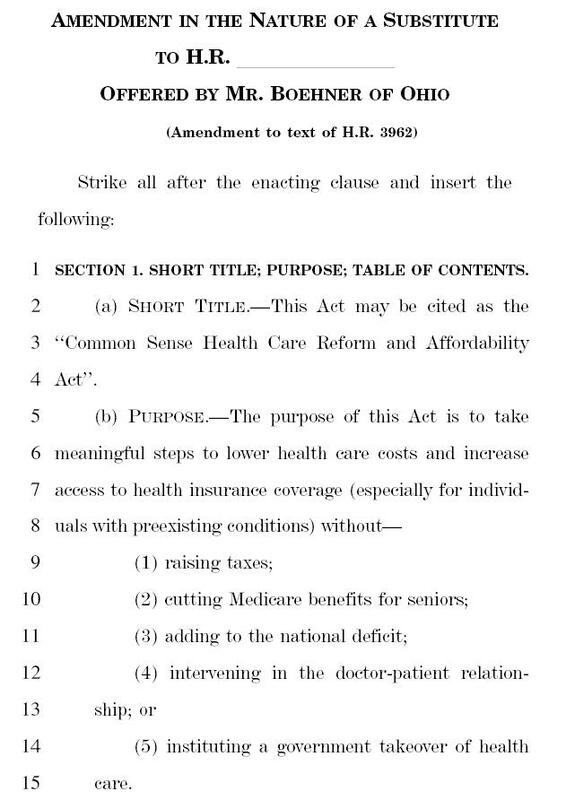 Where to start catastrophic coverage is the question. But even if you peg it at $25,000 – or higher – it would give people a fighting chance to dig out later and move on, without the stress and strain of looming ruination. A few thoughts as people prepare to make some big changes in Washington. There ought to be discussion about what might work, rather than how to poison the process. There were more warnings last week in the media about a projected shortage of primary care physicians under the health care reform law. The concern is that because the number of Americans with health insurance benefits is poised to increase dramatically, more services will be in demand while the supply of doctors remains the same. One of the causes is that medical students are attracted to higher paying specialties like radiology. The difference in income, according to Bloomberg, may be $150,000 for a primary care physician vs. $500,000 for a radiologist. Naturally, the answer is to increase the supply of primary care providers – but how should that be accomplished? The answer may already be brewing outside of the nation’s medical schools, which tightly control the supply of new physicians. I refer to programs such as CVS Pharmacy’s Minute Clinic, and Walgreen’s Take Care Clinic, where walk-in customers (let’s call them customers and not patients, just for fun) can get treatment for minor illnesses, physical examinations for work or activities, or just a general checkup. My brother-in-law recently had to have a checkup in order to go on a Boy Scout trip. He didn’t have time to schedule a visit to his primary care doctor, and had simply waited too long. Instead, he found a pharmacy clinic where he walked in hours before he was scheduled to leave on his trip, had the required exam, and was out the door for $35. 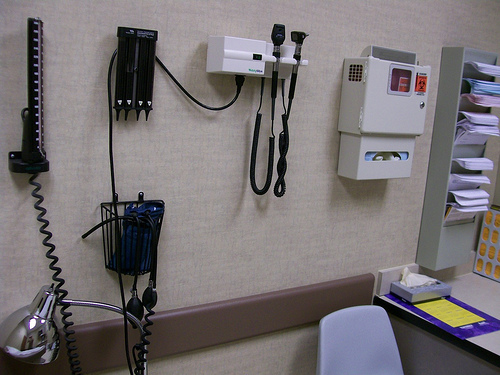 These types of clinics are staffed by nurse practitioners and physicians assistants. They have masters degrees and are trained in delivering basic medical services. They can write prescriptions under the supervision of physicians. This is a promising trend, but I’d take it a step further and allow master’s level providers to set up their own freestanding practices. They would still be under the supervision of a physician, but the physician could oversee a larger group of more independent providers. Anything beyond the expertise of the primary care provider would be referred to a physician. To insure an influx of providers leading up to the implementation of health care reform, the government could offer to repay student loans of practitioners who promise to take Medicaid patients at a more modest reimbursement level for, let’s say five years. Politically, I understand that this may be a tough sell to groups like the American Medical Association, which has big clout in Washington and at the state level. But as we near D-Day for health care reform, we’re going to have to rethink scope of practice issues in order to get maximum access for the most number of people. What’s the point of this kind of uber-packaging? 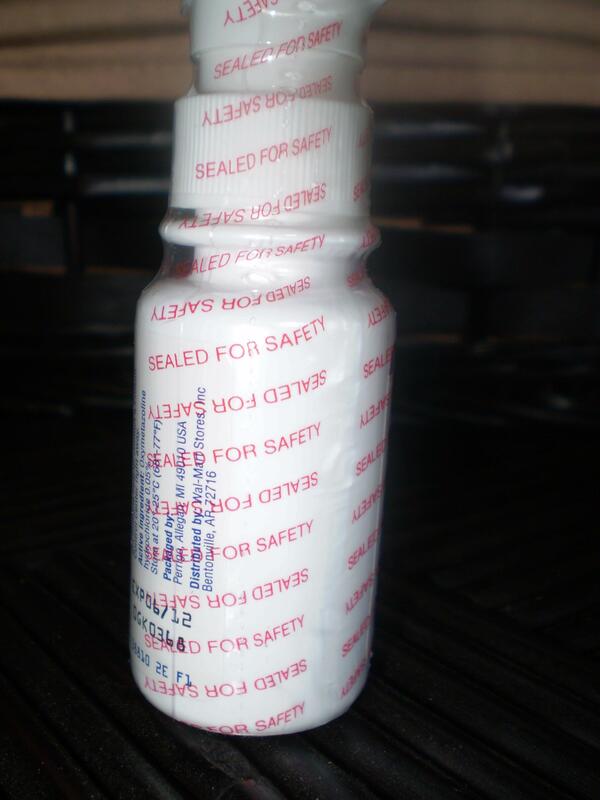 It’s a bottle of over-the-counter decongestant spray that’s been wrapped up from top to bottom in heavy plastic. This is a generic item, sold at Wal-Mart, dollar stores and various other discount outlets. To open it, I had to use a steak knife to tear the bottom of it and then slowly peel the plastic off in circular fashion. But it broke off half-way up the bottle so I had to make another incision before I could complete the unwrapping process and actually use the product. Oh yes. I know that companies have to make everything tamper resistant. But I couldn’t help wondering why this particular product pushed the envelope, along with others like it – mostly medicinal items but also prepared foods. How did we reach this sorry state? Tamper-proof packaging stems from the contamination of Tylenol capsules in 1982 by a psychopath who laced the products with potassium cyanide somewhere in the Chicago area. He (or she) apparently tampered with the medicine on the shelf. Now, as sick as this individual was, there are two things that bother me almost as much as the act itself. One, that although the concept of packaging goes back hundreds of years, if not thousands of years, we finally figured out in 1982 that not all of our fellow humans could be trusted; and, that apparently as time has ticked on, producers have decided that the citizenry are even less trustworthy than anyone ever imagined …. And that therefore packaging should be turned into a puzzle that takes time, tools and a certain amount of ingenuity to unravel. People have accused me, on occasion, of being inordinately cynical, and I usually consider that a compliment. But I take a backseat to the people who produced the decongestant product pictured above. Maybe they have read one too many Stephen King novels, or represent an entirely new crop of corporate worry warts. On the other hand, maybe they know something we don’t.